At SuperJeweler, you can shop for the finest and most elegant jewelry without having to pay full price. The folks at SuperJeweler get only the best in diamonds, gemstones, and fashion jewelry. The jewelry comes directly from the manufacturers so they can pass the savings on to you. Shopping with Dealhack can score you terrific deals on all types of amazing jewelry. Save on items such as earrings, bracelets, gemstone jewelry, and necklaces. No matter your individual taste or style, you’re sure to find something perfect for you or that special someone at SuperJeweler. 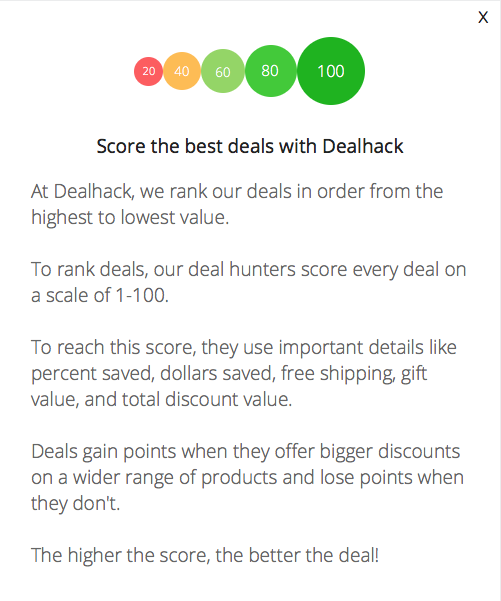 Our amazing coupon experts here at Dealhack work hard to bring the latest coupon codes and promotions. Browse this page and get access to great savings through one of our coupons. If the offer you wish to use has a code, take the code and apply it before you checkout to activate the offer. We usually publish the best coupons near the top of the page. You can usually score sitewide savings like 10% or 20% off all orders. We are always updating the coupons on this page so be sure to check back here before you purchase. SuperJeweler is an American company founded in New York, NY in 1999. The company was built on a belief that business success needed to be constructed on a foundation of ethics. From day one, SuperJeweler made sure all their diamonds come from ethical, conflict-free suppliers. SuperJeweler also has a strong commitment to quality products and great prices. That is why more than 15 years later, they have served millions of satisfied customers. Are you planning an elaborate romantic proposal for the woman of your dreams? No grand proposal is complete without the sparkle from that perfect ring. Use the SuperJeweler sort function to hone in on beautiful engagement rings for the love of your life. Not getting married? SuperJeweler also offers rings for occasions including promise rings, and diamond eternity bands. Plus, find three diamond rings, fashion rings, and men’s rings. The SuperJeweler advantage lies in their superior customer service. If you need any help at all during the shopping process, you can ask a knowledgeable jewelry consultant via live chat at any time. Plus, you can shop with confidence because all their jewelry comes with a lifetime guarantee. Purchases are also covered by a no-risk 60-day money back guarantee. The company offers free shipping to every country in the world. SuperJeweler shares their latest jewelry and runs frequent contests on Facebook, Pinterest, and Twitter. For any questions you may have, send them an email, or dial 1-877-888-0175. Furthermore, contact us here at Dealhack headquarters. We are the coupon experts at the end of the day. While we are proud to offer the best coupon codes right here on this page, you can also view the SuperJeweler homepage to view today’s deal of the day. Enter the sweepstakes on their website for a chance to win great items. Win up to $5,000 in beautiful jewelry. If you’re not sure of your ring size, print out their ring sizer. Check the clearance section for incredible deals on rings, earrings, necklaces, and bracelets. What is Today’s Best SuperJeweler Promo Code? The best SuperJeweler promo code right now is 35OFFCLEAR. This code is for 'Extra 35% off Clearance Sale'. Copy it and enter it on the SuperJeweler checkout page to use it. All orders qualify for 100% free shipping. SuperJeweler offers a 60-day money back guarantee and returns policy.